Before descending to the sacred town of Bodhgaya, Lord Buddha spent several years of his exile at the lesser-known Dungeshwari caves (also called the Mahakala caves). These caves now house several temples which are widely visited by pilgrims who follow the trail of Lord Buddha's journey. Although the aesthetics of the caves are not as appealing as Ajanta and Ellora's, the mystical aura has remained intact over the years. The caves here have Hindu and Buddhist shrines and some people are attracted to this place because of the sheer energy they believe the place generates, because of its association with Lord Buddha. Getting to the Dungeshwari cave temples is relatively easier from Gaya rather than travelling up from Bodhgaya, since the latter is usually overcrowded with locals and travellers. Since there's not much distance to be covered, one can take a rickshaw directly to the caves. 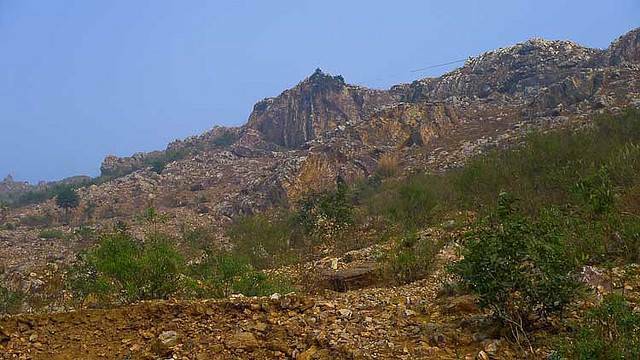 Dungeshwari Hills are located at a distance of about 12-15 kms from Gaya, along the Falgu river. Chinese pilgrim Hiuen Tsang has mentioned these hills in his travelogue. The hills are most famous for the cave temples where Lord Buddha is said to have meditated before arriving in Gaya for his enlightenment. The caves might lack visual appeal but offer a surreal experience for those who let the transcendental energy take over their conscience.